The City of DeLand currently only has one wastewater treatment facility. It is named in honor of Wiley M. Nash who served many years as the Utilities / Public Works Director and later as Mayor. The facility today is named the Wiley M. Nash Water Reclamation Facility. It has a design capacity of treatment for 6 million gallons day of average flow per day. The plant was originally built in 1978 as a secondary treatment facility and discharged all effluent to the St. Johns River. In 1990 the plant was upgraded to an advance treatment system to produce reclamation water and reduce the discharge of effluent to the St. Johns River. As part of this upgrade, the Bio-Solids part of the plant was upgraded to turn liquid bio-solids to cake solids to reduce the number of truck loads and enhance the spreading ability. This by- product is then taken to a field to be land applied as fertilizer for soil enhancement. The trucks are sent to various fields in Volusia, Flagler, and Seminole County and rotated so as to not overload any one field. 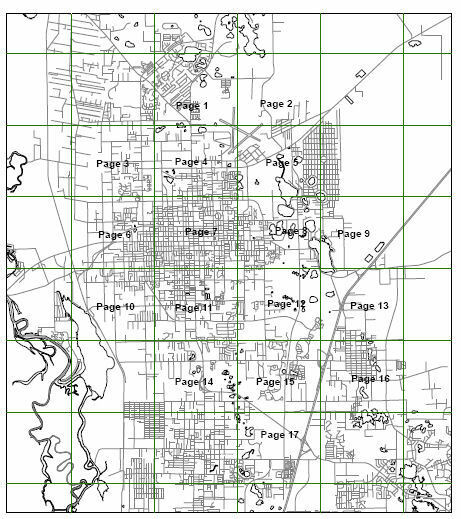 The reclaim system as stated earlier was created in 1990 with the first distribution line going to South Ridge Golf Course and DeLand Memorial Gardens. Lines have now been extended south to Victoria Park and DeLand Country Club and north through Stetson University and ending at the mediums at US 92. The system also now directly serves multiple residential subdivisions, such as Plumosus Park, The Enclave, Parkmoore Manor, Bent Oaks, Wellington Woods, Willow Ridge, Landress Drive, Victoria Place, East Brook, Country Club corners, Bentley Green, Blue Lake Woods, University Manor Neighborhood, South Ridge Point, Woods of South Ridge, Waterford Lakes, and Heather Glen. In 2004 the plant received grant money to enhance the reclaim system at the facility. An additional 3 million gallon storage tank was added and a storm pond by the plant was modified into an augmentation pond to allow storage of excess reclaim water and storm water from around the city. This pond has a capacity of 6.4 million gallons and brings our total storage to just over 12 million gallons onsite. This allows us to discharge very few days to the St. Johns River and better meet high demands on the system. On an annual basis over 99 percent of our reclaim water is returned to the ground now versus discharge to the river. A recently completed river augmentation pump station now supplies water back to the Wiley M. Nash facility to the effluent filters or pond, thus increasing our reclaim capacity further. This capability has reduced the demand on our potable water system for irrigation water. This wastewater treatment plant is named after the community that it originally served. It was built in 1980 and was expended in 1988 to a .630 million gallon plant to serve the northerly section of our service area. A master lift station was recently completed on site and connected to the new west side interceptor. This option due to permitting and need of equipment replacement was the better solution at this time for the city. This allowed for the decommissioning of this facility and placing it in a stand by mode for a future need. The Second Chance program is not designed to be a working humane society nor is it a full time shelter. Because it’s a temporary holding facility, DeLand residents who choose to give up an animal need to contact one of the area shelters to make the necessary arrangements. Click on the button below to contact our team. We are proud to provide top notch service to our citizens.